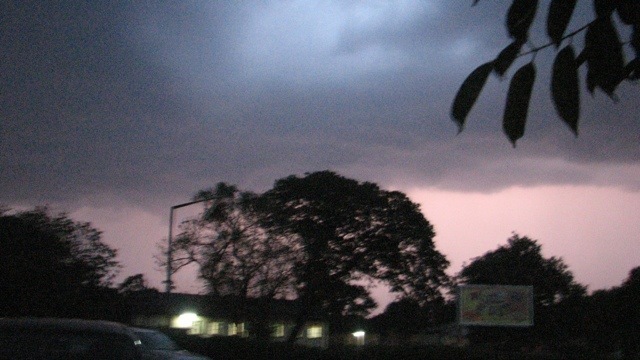 Well we saw the African rains last night – and the African lightning storms! Amazing. 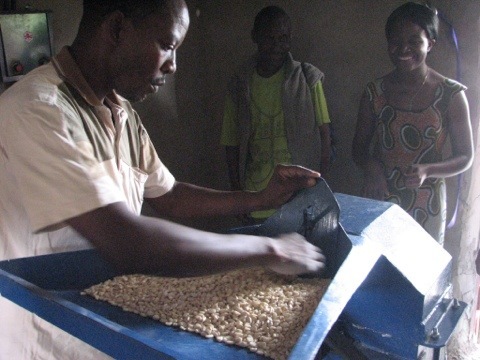 We were a bit worried that if we got too much rain it would hamper the plans we had today for the dedication ceremony for the new community school in Mukobeko. But we prayed and the day dawned sunny and clear. God is good. 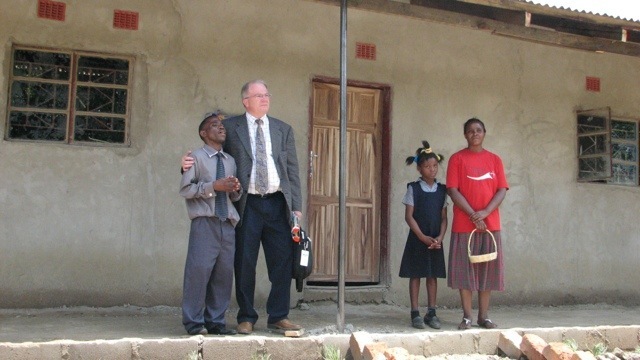 Before heading off to the ceremony, we picked up Pastor Lawrence and went to visit the Shekinah Glory Community School in the Bwacha community. Here the teachers shared of the successes they have had to date and the challenges that still face them. How blessed any child in Canada is to have the resources and learning opportunities they have. 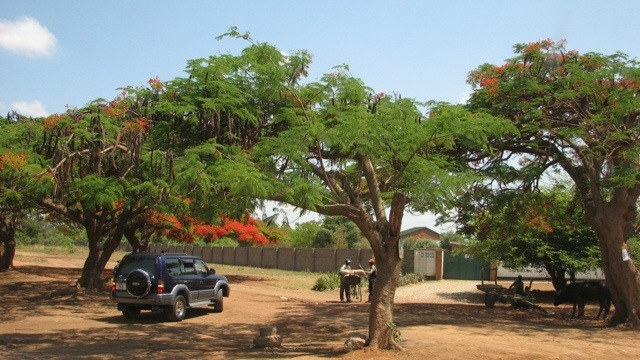 It would only take a quick visit to the community schools of Kabwe to highlight that fact. 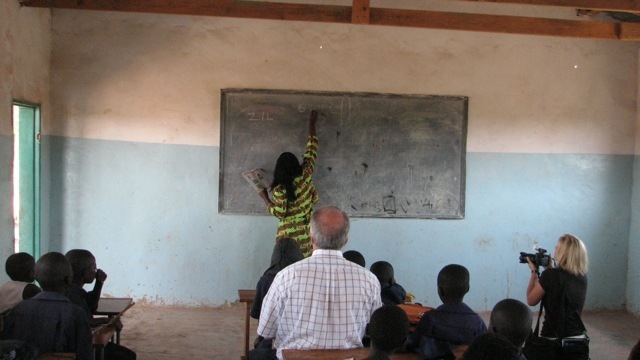 But still the mostly volunteer teachers labour diligently and faithfully to provide the best eduction they can. Surely we can step up to help them. 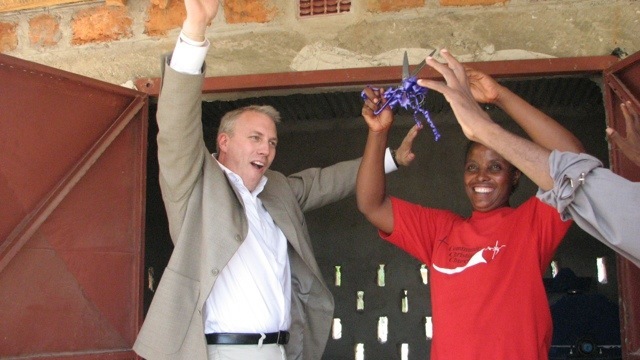 The next stop was the Makululu community where hands at Work in Zambia has established a Life Center to work in and with the community. 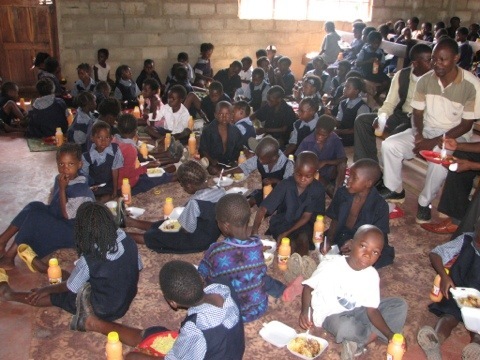 Here they provide, among other things, a daily feeding programme for up to 180 children. 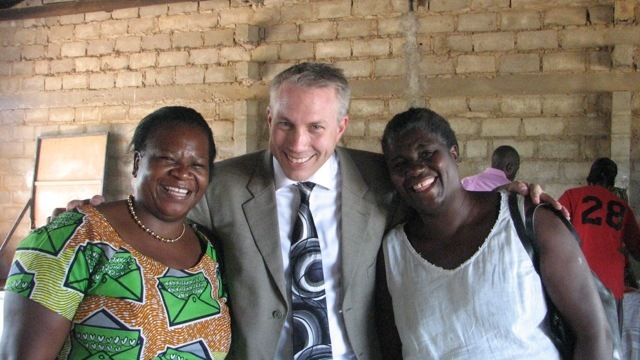 They are selected from the most vulnerable of the more than 500 orphans they work with in this community – which is, I am told, the largest slum in Zambia and the second largest slum in all of Africa! Finally the time we had been waiting for arrived. We were driven into the Makobeko community to the site of the new Hope Community School. God is good (have I said that already?). 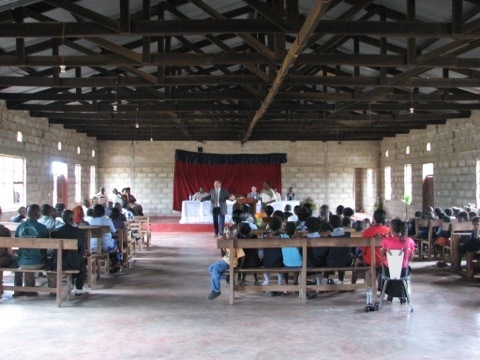 I will attach below a couple of pictures of the new school building that has been funded by Rock Church through the efforts of Pastor Ted. It is excited to finally see something that so many people have been working towards for the best part of the past year. 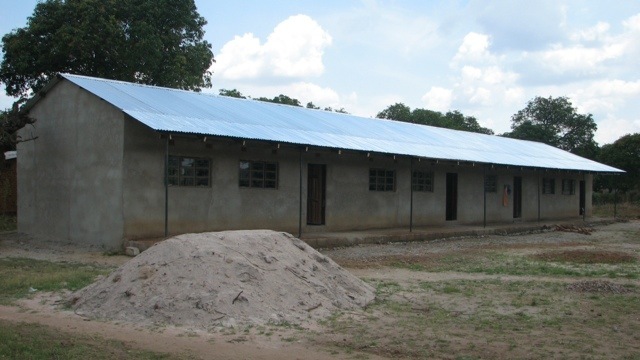 There are still a few “finishing touches” to add, but the school is essentially complete and will be ready to welcome 200 students when the new school year starts in January 2012. The ceremony in the local church building (next door) was heartfelt and sincerely moving. The children sang. There were speeches from Pastor Lawrence, Pastor Hector, the local government representative and Visionledd. The children sang. Pastor Ted delivered an inspired word of encouragement. The children sang. 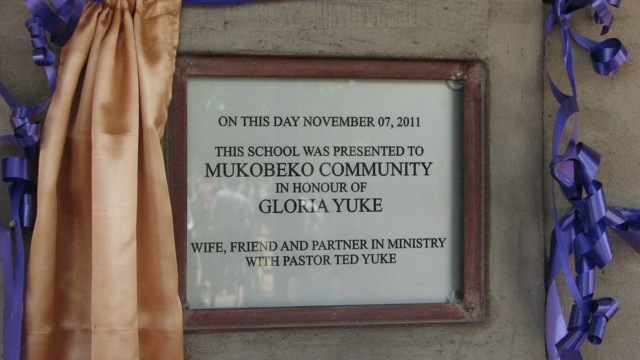 We then moved over to the school where Pastor Ted did a ribbon cutting and unveiled a plaque, dedicating the school to his wife Gloria. What a wonderful tribute to a faithful and classy lady. We ended the ceremony with a meal that was provided to all the school children as well. 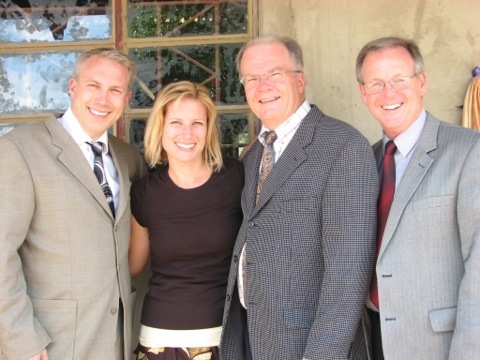 Previous PostPrevious November 6 – There’s Nothing Like a Sunday in Africa!